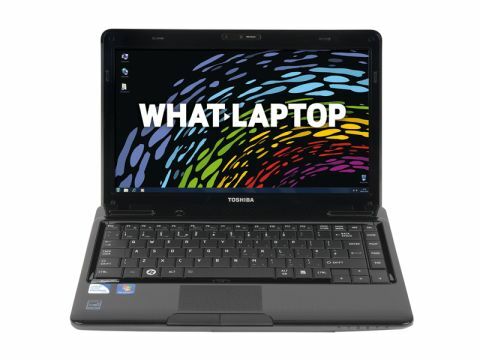 Toshiba's Satellite range is aimed at consumers and covers everything from entry-level laptops to multimedia machines. The Satellite L630-13M sits in the middle, with decent performance and a great range of features packed into a sleek and portable chassis. An attractive and subtle pattern graces the black lid and interior, although the glossy surface does attract dust and smudges. The chassis is as compact as the Samsung Q330, and just a little bigger than the Dell Inspiron M101z, and can easily slip into a bag. The 2.1kg weight makes this one of the lightest laptops. Its 240-minute battery life is average for this price and enough to last you on lengthy commutes. The touchpad is a decent size, despite the laptop's reduced frame, and is complemented by two firm mouse buttons. Another button disables the touchpad when needed, although we never accidentally brushed the pad as we did with the Lenovo ThinkPad Edge 13" and HP Pavilion dv6-3040sa. Multi-touch gesturing is supported and running your finger up and down the right edge lets you easily scroll through documents. The full-sized keyboard is similar to the Fujitsu's, with flat keys that are firmly set and quiet when pressed, although the travel distance is shallow. There's no room for a dedicated numeric keypad. Power is provided by an Intel Pentium P6000 processor and we were impressed by the performance on offer. You can run several applications at once without conflict, even fairly memory-intensive software, although the Intel Core i3 powered laptops proved more powerful. Graphics are integrated, as with most of the laptops here, and fi ne for basic multimedia tasks. The 13.3-inch screen is very crisp, thanks to the 1366x768-pixel resolution, with sharp contrast levels provided. It's a suitably bright and vibrant screen too. Toshiba has included some excellent features for such a small laptop. At 500GB, there's ample storage for your files and media, and there is also built-in vibration detection to protect the hard drive from damage should the laptop take a tumble. Three USB ports are included, one of which doubles as an eSATA port, while HDMI and VGA ports can be used to hook up to monitors or projectors. Wired and wireless networking matches all the other laptops in this group test, while Bluetooth is also on hand for wirelessly connecting to compatible devices. Overall, the Toshiba Satellite L630-13M is a great all-round machine. The solid chassis looks good and is easy to transport, while the Pentium processor offers decent performance. Plenty of features add to the overall package, with almost no flaws in evidence.